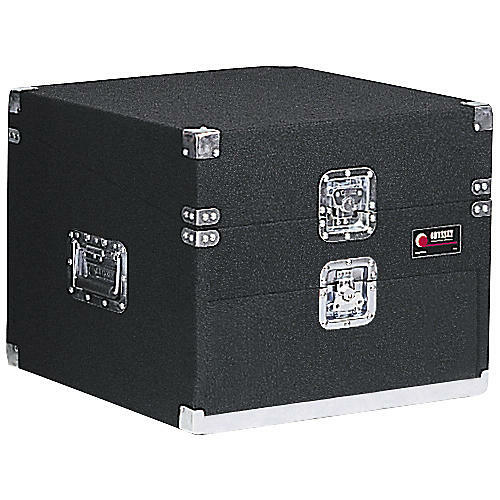 The Odyssey CXL104 Deluxe DJ rack case has 4 vertical spaces and features a flush mount slanted top section and more sizes. 21"W x 19"H x 20"D. 17" interior depth. 47 lbs.